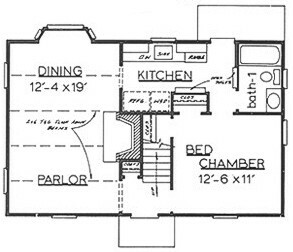 The use of a Gambrel Roof design in this home plan provides more space for the two bedrooms on the second floor. 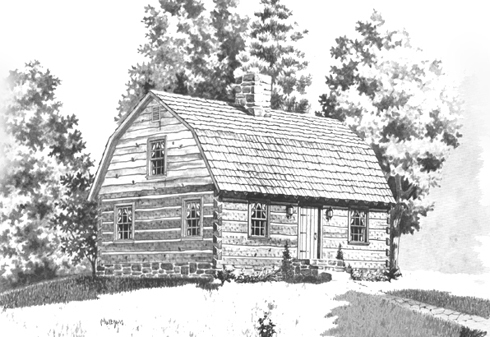 The use of a gambrel roof in this home plan provides more space for the two bedrooms on the second floor. A small shower bath is found at the top of the stairs. Below, the center fireplace is shared by the parlor and dining. Note the bay window at the rear of the Parlor. The corridor kitchen has a stacked washer/dryer beside the refrigerator. 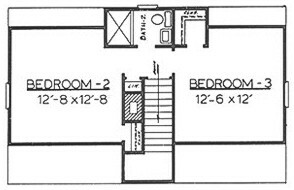 The Bed Chamber offers two closets. 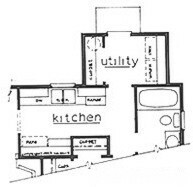 This Plan offers an alternate utility room at the rear of the house.